TWAPictures had the honor of producing Tennessee Governor Bill Haslam’s inauguration for live broadcast on the state’s six PBS affiliates on January 17. This was our second time around with Gov. 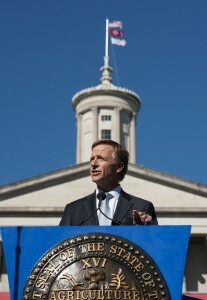 Haslam; we produced his first inaugural in 2011, as well. We first met the Governor in 2010, when he was a candidate. I was the only journalist to interview him and his wife Crissy in their Knoxville home. We look forward to four more years with Gov. Haslam. It was an exciting day on December 5th when NASA launched the new Orion spacecraft on its first unmanned test mission. Orion is designed for deep space missions. Its destination is to be determined, but today was our first step into the future! If you have a space buff on your holiday shopping list, I want to mention two books that are essential reading. Wheels Stop: The Tragedies and Triumphs of the Space Shuttle Program (1986-2011) is a detailed look at the Shuttle after the Challenger accident by out friend Rick Houston. 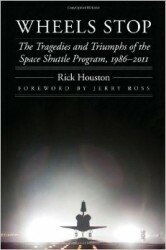 Rick also has a new book coming out in 2015, co-authored with Flight Director Milt Helflin, that will be the ultimate insider story of Mission Control in Houston. Another book that is very inspiring is astronaut Jerry Ross’ autobiography, Spacewalker. Jerry is one of only two astronauts to fly 7 Shuttle missions and he held the American record for spacewalks up until recently. Ross is a man of faith who walks the walk in addition to talking the talk, so I really admire his story. 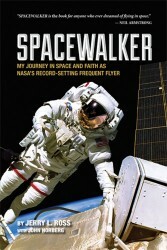 We enjoyed working with him during the production of The Space Shuttle: Flying for Me. Great gifts so check them out at any book seller. BIG NEWS! 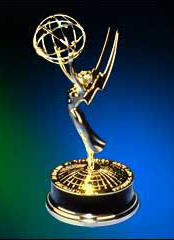 The Space Shuttle: Flying for Me received an Emmy nomination on November 20th! This is the regional Emmys so don’t expect to see me in Hollywood next spring. But we’re honored nonetheless since we are one of 70 programs nominated out of 800 submissions. Flying for Me is one of 5 films under consideration in the historical documentary category. Hey, we’re excited. The awards will be presented on January 31st, 2015 at the Schermerhorn Symphony Center in Nashville. Flying for Me is an incredible film. On November 6th, Lipscomb University shared it’s vision of the next few years with the community at the Ryman Auditorium. The evening featured a number of presentations, including Nashville Mayor Karl Dean, Tennessee House Speaker Beth Harwell, and U.S. Senator Bob Corker, as special guests. Dr. Randy Lowry concluded the event with his remarks about Lipscomb’s potential and our friend, actor/musician Chip Esten hosted. 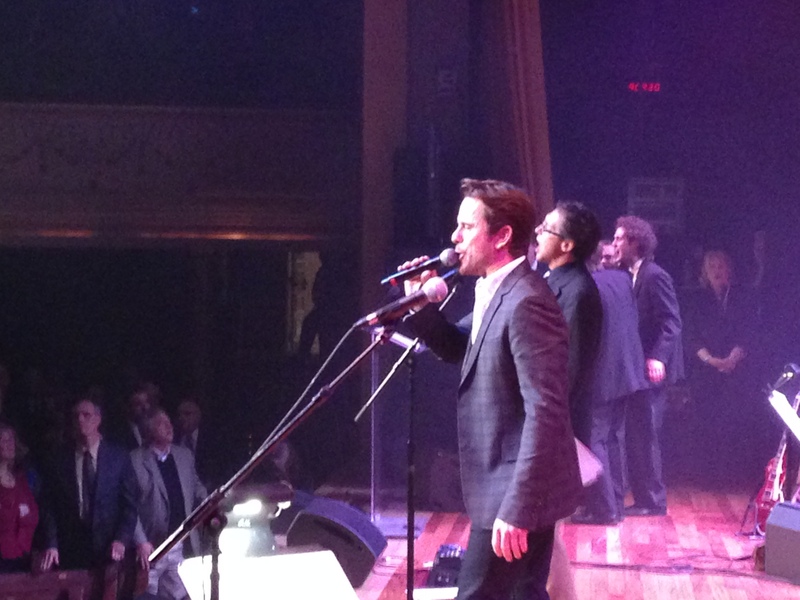 Esten shared the stage with fellow actor of ABC’s Nashville Clare Bowen, Lipscomb’s Lee Camp and the Tokens Show Band, and the Lipscomb University and Lipscomb Academy Choirs. Head show writer? Tim Weeks. The program was a huge success with a packed house. I’ve worked with Lipscomb for the past five years with the Charlie Daniels Scholarship for Heroes event through David Corlew & Associates. That program benefits qualified veterans receiving a free education at Lipscomb University…very impressive for a private institution. A Christian university that still values character as a component of a college degree, Lipscomb is doing great things and I was proud to contribute to the Ryman event a few weeks ago. So what do I do in between productions? Fortunately, I get to write for some very nice publications, including the annual talent/entertainment guide to Music City, Nashville Arts & Entertainment. 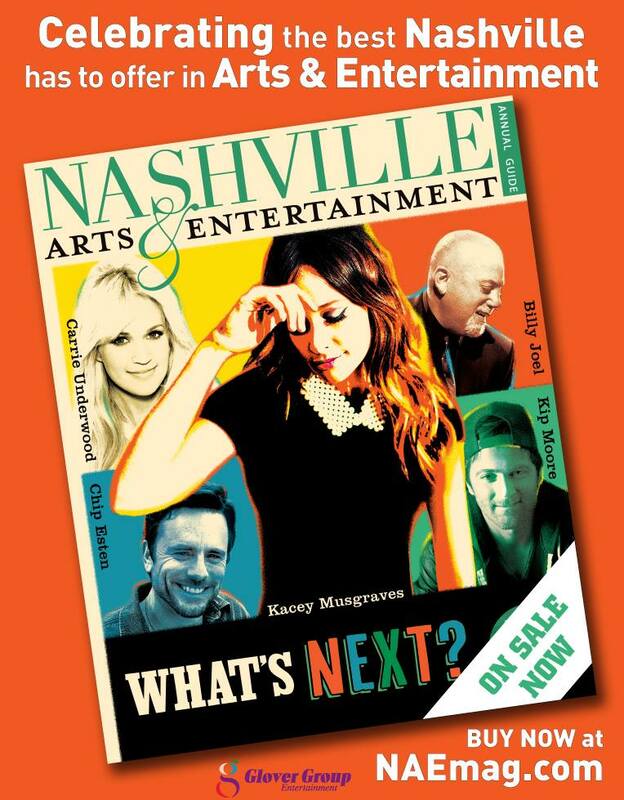 The 2014-15 edition (on news stands now) features two articles I wrote – one about the next generation of country artists presently making waves including Justin Moore, Kacey Musgraves, and more & two, an interview with actor Chip Esten, who plays Deacon on the ABC series Nashville. This is my second year to contribute to the magazine. 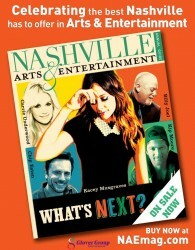 The 2013-14 publication featured my piece about “instant success” in Nashville entertainment as the cover story. Actress Kimberly Williams-Paisley was highlighted. So check it out! The Space Shuttle: Flying for Me was launched on public television in June, 2014. 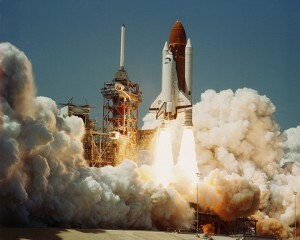 A 60-minute documentary celebrating the highlights and achievements of the Space Shuttle program, the film is a tribute to the men and women who made space a livable and workable environment. Check your local PBS listings for airdates. Announcement about DVDs and digital downloads coming soon. For more information, visit American Public Television.